E-commerce is an emerging industry. Its remarkable growth has surprised everyone. The market volume of the global e-commerce industry is expected to be $4479 billion by the year 2021. Such amazing statistics show high growth opportunities in this market sector. The importance of e-commerce continues to increase for a number of businesses but keeping hands with digital marketing trends is becoming a tough challenge. We have entered the era of e-commerce marketing optimization. The businesses of today need to work on innovative strategies to ensure their growth. It is also necessary to maintain their online presence among various other businesses. From ordering an online movie ticket to investing in a large packaging business, everything can be done online. The Internet has changed the way people think. It has made our lives more convenient and faster. But the strength of any e-commerce business depends upon its visibility and a strong online presence. Before going into further details, it is necessary to understand why digital marketing is essential for the success of your e-commerce business. Here are some of the points which explain its importance. As you have developed an online presence and do not have a physical location, so it’s necessary to get your e-commerce business noticed by a million potential customers. Until you spread a word around, no one will notice your e-commerce business, and you are unable to create brand recognition. Lack of brand recognition means lack of online sales. More than 40% of the people, who prefer to shop online, directly check high reputed e-commerce businesses like Amazon to order their products. So it’s extremely important to raise your online brand awareness so that customers can trust you. The digital market allows you to improve your position on the world’s largest search engines like Google. Moreover, it’s the most effective way to reach a broader audience which relies on search engine results for their queries. Here we’re going to discuss each of them in detail. With the increasing popularity of social media stories, it has become important for a business to consider it in its digital marketing strategy. First Snapchat came up with the concept of “My Story”, then Instagram and Facebook incorporated this change and finally Youtube has revealed its own story format. As stories disappear after a pre-decided interval of time, so it’s a good opportunity for marketers to make use of “Fear of Missing Out”. In the case of cardboard boxes business, you can feature a story with your employees or highlight the processes for making a product. Ask for the reviews about your product or service. Facebook is still the most frequently used social media platform in the United States with more than 41% users above the age of 65. So nothing is better than targeting a huge senior demographic by your business. Instagram is also a great hit. Its rise has passed one billion users which is an impressive achievement. Most of its users are young aged people who are in search of something new. So it’s a great chance to target the young talent to popularize your business. Chatbots will continue to be an effective part of digital marketing in the upcoming years. It is an Artificial-Intelligence based technology which uses instant messaging to chat in real-time, whether day or night, as a customer visits your site. According to a research statistic, 1.4 billion people interact with chatbots. And by the year 2020, more than 80% of the savvy businesses are using or planning to use chatbots to save their per annum cost. A number of businesses prefer to interact with chatbot as it is responsive, answer promptly, accurately call for your buy history and never lose patience. They interact with the human in a natural way and help them complete their goals. A text chat window is used for this purpose but verbal communication is also possible. Chatbots are one of the most effective digital media trends for your cardboard boxes business. As the customer visits your site, it can instantly answer their queries. Sophisticated software is used to support customer’s concerns and guide them throughout the process. Near about 73% of Americans engage with YouTube. It means that more than half of the population of America is engaged in watching videos, and most of them are created as a service of digital marketing. In addition to YouTube, you can make a video or start live broadcasting on Facebook, Instagram or LinkedIn, etc. In this way, you can witness a higher engagement of people with your video marketing. 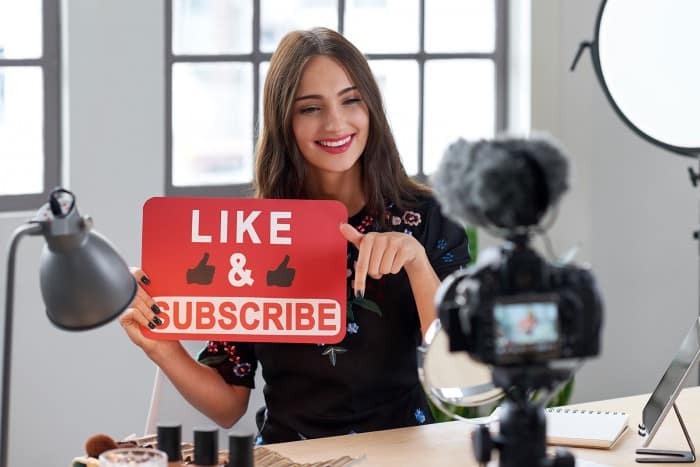 According to the figures of 2019, 72% of the businesses say that videos have contributed to their conversion rate. Live video streaming has gained much popularity. Various large businesses use it for an interview, product demo, production process and life in the office, etc. You can also use video marketing for your cardboard packaging business for showing a glimpse of events. It is an effective digital marketing tool, which can convey a lot of information about your brand and its values. Content marketing is still an essential component of digital marketing, but the thing which matters is its quality. Having a deeper understanding of your target market can help you in creating more precise and valuable content. It’s one of the most effective digital marketing tools which always remain in trend even with the original of other form forms of digital marketing. By producing more interactive content, you can engage a huge audience and generate a large number of followers of your business. In addition to general content, being more specific with respect to specific industry and group of consumers can yield impressive results. Emails are getting more personalized than before. They continue to be one of the biggest channels of communication. A number of business entrepreneurs use them for personal, commercial, legal and industrial use. As email marketing has evolved, generic marketing emails are not as effective as they were once. Email marketing is a combination of automation and personalization. When you trigger your email marketing to a specific user browsing any of your products, followed up with a promotional price or a video illustrating product features, it’s a very effective form of marketing. Emails often act as a “trigger” to incline the customers towards your offering. With the increase in the use of smart devices, verbal interaction has continued to rise. Talking is the most preferred way of interacting. Even the machines are catching up the way people search, shop and discover new things. The increase in the use of voice search has motivated the companies to redesign their digital marketing strategies. However, conducting a voice search is very different from typing a query. When a person does a text-based result, all the possible options are displayed on the screen. But when a user conducts voice research, the device has to answer verbally with a few choices that are top of the list. Thus it’s a different approach and can’t be ignored because people are relying on it more. Voice search plays an important role in providing the most relevant information which people search through audio content. Artificial Intelligence has got smarter with a reduction in the number of errors. A number of businesses have included voice search in their marketing strategies to deliver high-value content. For example, various fast food chains allow customers to order their meals through voice search technology. It can also be implemented in your cardboard boxes business, where customers can make a voice search to get knowledge of various products and ask their queries. With the passage of time, digital marketing trends keep on evolving. So, to be at the top of the game, it’s necessary to adopt new changes. For this, you have to in line with the market trends and update your digital marketing strategy side by side. There is always room for improvement. Your main focus should be to improve customer service. 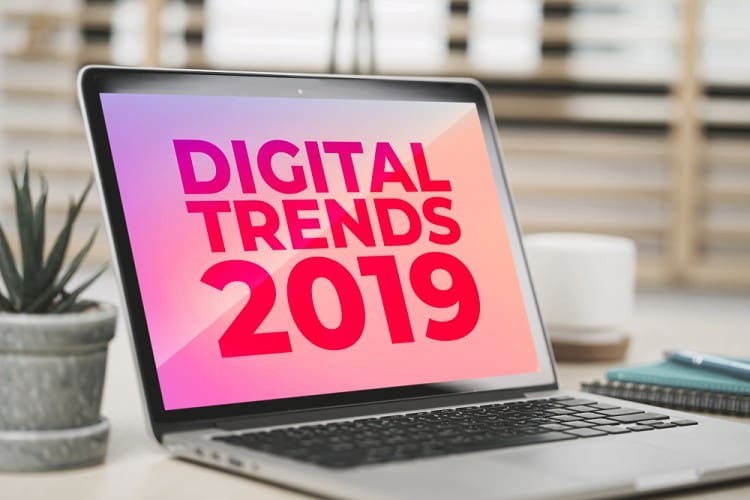 2019 is a year of better user experience together with personalization, automation and AI technology. So stay in tune with the market trends and see what’s new this digital technology is going to bring.